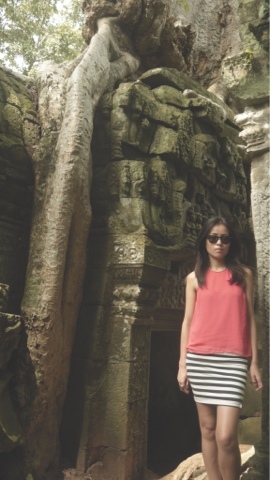 Our latest weekend getaway destination was to Siem Reap Cambodia. We were completely overwhelmed with the beauty and architecture of the town, the temples, the culture and the people. The temples were incredibly are-inspiring. 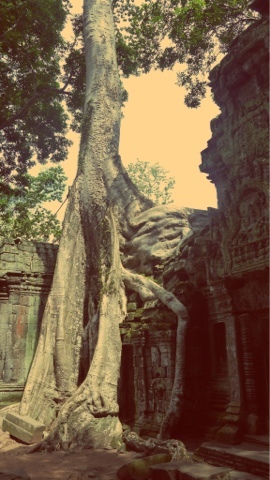 My favourite temple would be Ta Prohm, with the wonderful trees that invaded the temple - in, out and through the walls. By the end of our four-day trip, we were completely templed out. Four days in Siem Reap is a sufficient number of days to stay. To avoid templed-out fatigue, indulge in some spa treatments, or perhaps put your creativity skills to good use by going to a pottery class at Khmner Ceramics Centre. We are rather proud of attempts! Avoid boring western food, and sample Cambodian cuisine - rich in local spices. There were far too many western and touristy areas, such as Pub street, where you can even order an Angelina Jolie cocktail. We tried to steer clear, but were very surprised to find a fantastic, well priced, restaurant called Traditional Khmer Food in the thick of it all. Although the name of the restaurant reeks of 'tourist trap food' - take my word for it, the food was amazing. Order the fish Amok and the traditional fish soup.